Defender D110 camped at Crested Butte rally 2000. 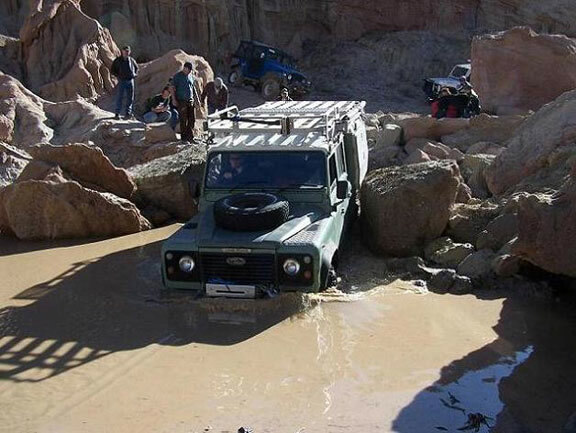 Ben Smith and Land Rover Forward Control 101 at the Crested Butte rally, 2000. 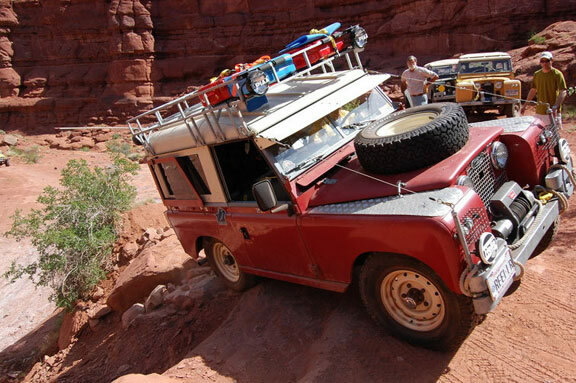 Matt Jackson's amazing V8 powered Land Rover 88. That front articulation is mainly from extended length front shocks. 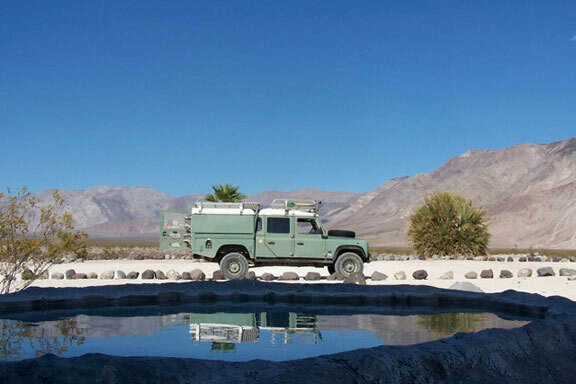 The pictures above and below are of Kevin Mokracek's Land Rover Defender 130. The top one is in Nightmare Gulch, the lower one in Saline. The Land Rover Divas perched on the front of my Dormobile, 2011. 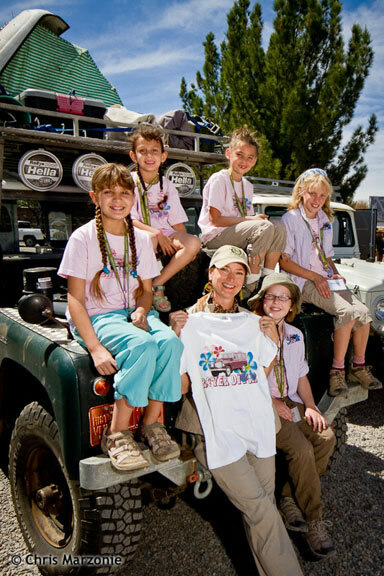 The Divas are young girls who each own Land Rovers that they let their parents drive. © 1997, 2011 TeriAnn Wakeman. All rights reserved.